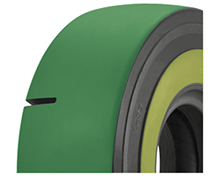 The Ecomega L4S tyre is a high-ply radial tyre which has been designed and constructed for the most severe applications where traction is not an issue. The flat tread pattern guarantees a longer tyre life and an excellent performance in the hardest applications, and the strong and reinforced sidewalls perfectly resist all kinds of snags and cuts. 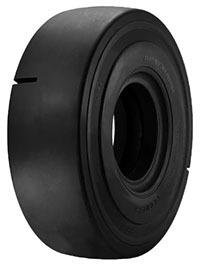 The wide and flat tread and its wide contact surface allow for an extremely good distribution of the weight and a very good impact resistance. The high-ply carcass limits lateral giving-ins, gives the machine more stability and a top fatigue resistance even in great stress, which means better working-results and lower costs/hour.